I love easy recipes. haha. 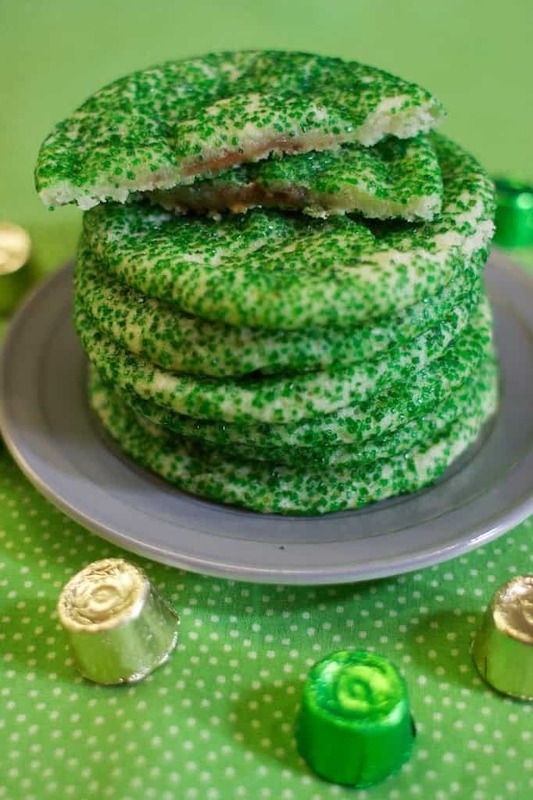 And these St. Patrick’s Day Cookies are easy. Seriously, though, when it comes to a quick treat for the kiddos, I love when it doesn’t take very long but yet its still delicious and fun. These ones, like my 5 minute Chocolate Caramel Pretzels are fast and easy to make but the kids love. 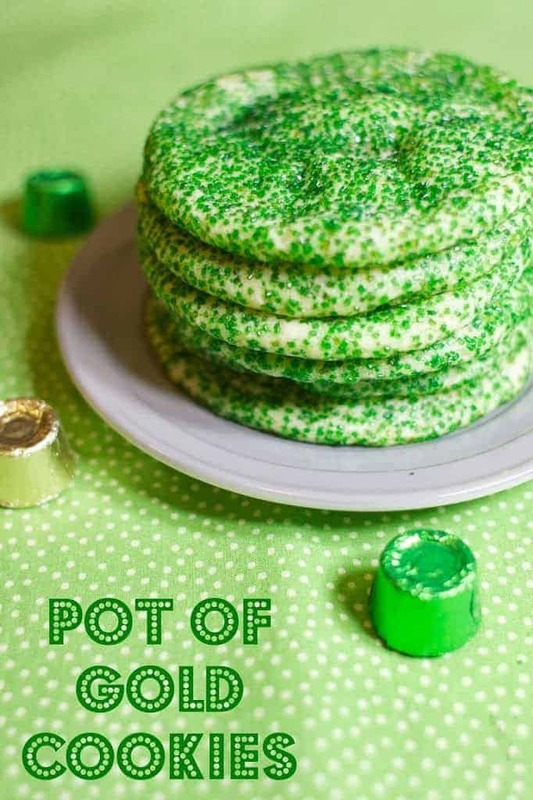 All you need for Pot of Gold Cookies are three things. 2. 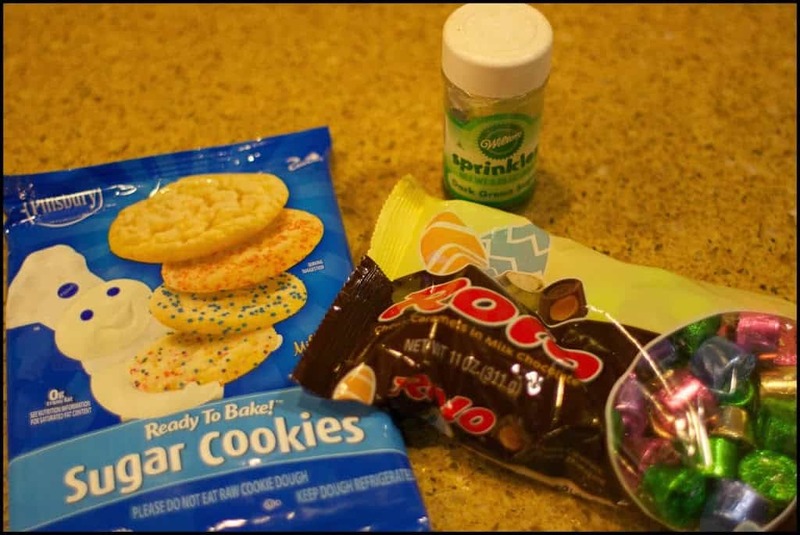 Place a rolo between your sugar cookie dough. I used one cookie for the top and one for the bottom so there would be plenty of dough to cover the Rolo. 3. 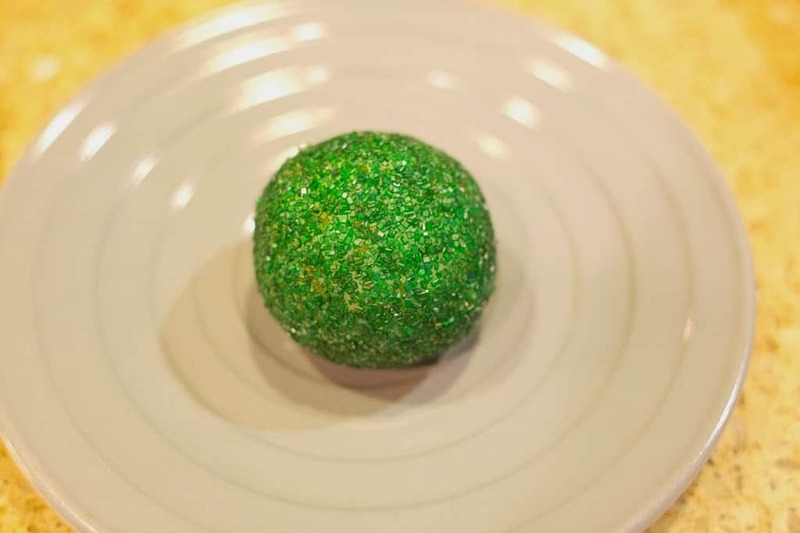 Roll The dough around the Rolo into a ball. 4. 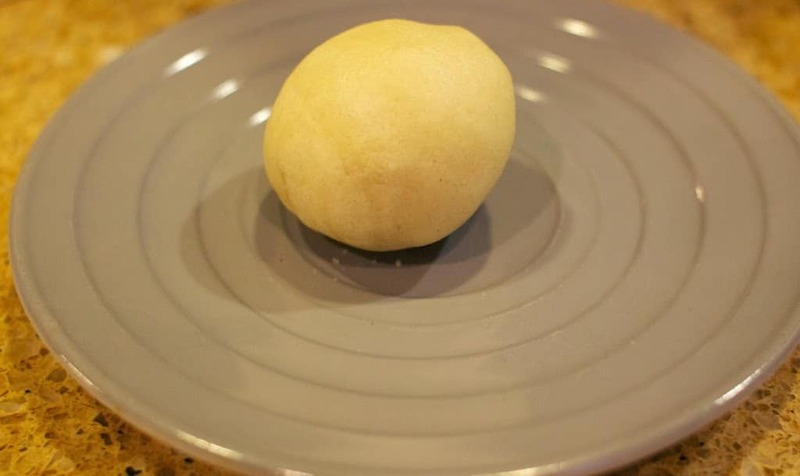 Roll Dough ball into sprinkles. 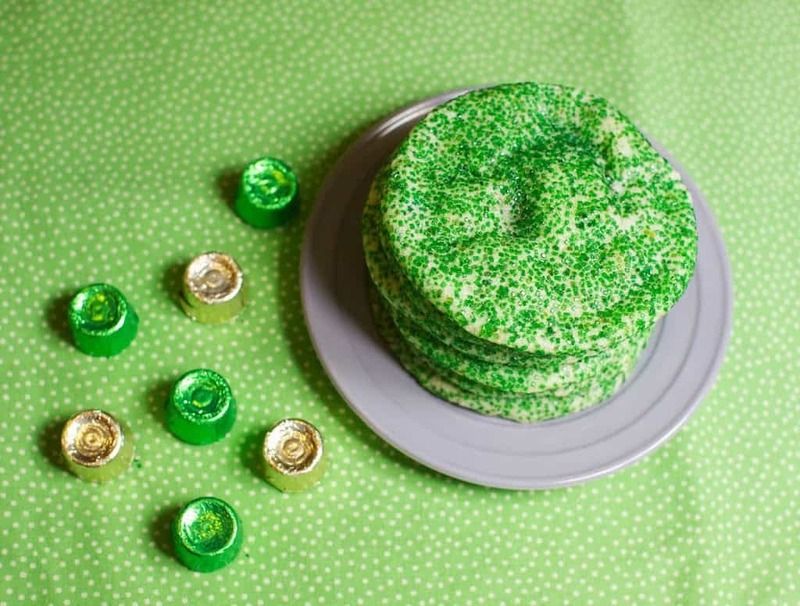 Note: If you don’t want your kids to have green lips when they are done eating, use less sprinkles. Haha. 5. Put cookies on cookie sheet and bake for 15 minutes. Times do vary depending on oven. I only put 8 cookies per cookie sheet because they do spread. Next time, I also want to try putting them in mini muffin tins and making more of a cookie cup. 6. Allow cookies to cool then enjoy!